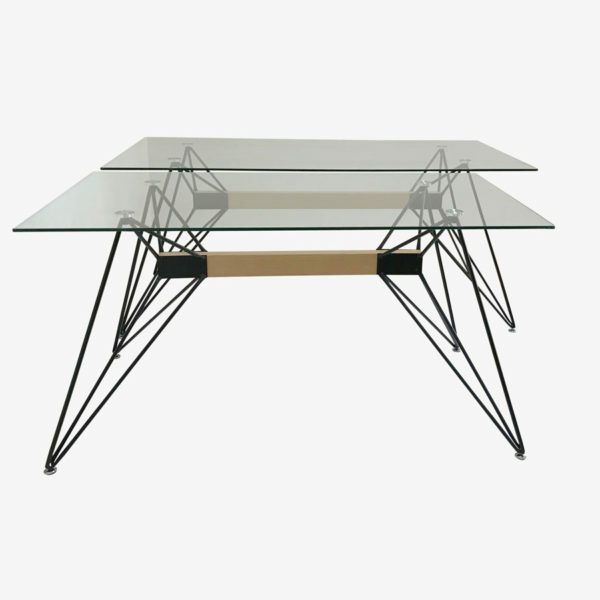 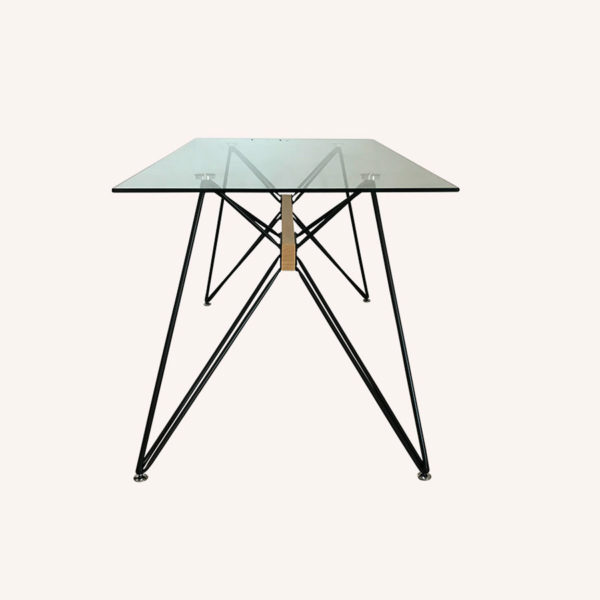 Combining industrial trends and the clean lines of the “Japandi” designs, the Web table is the perfect dining table for the modern Australian. 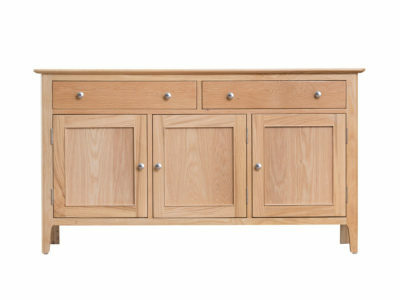 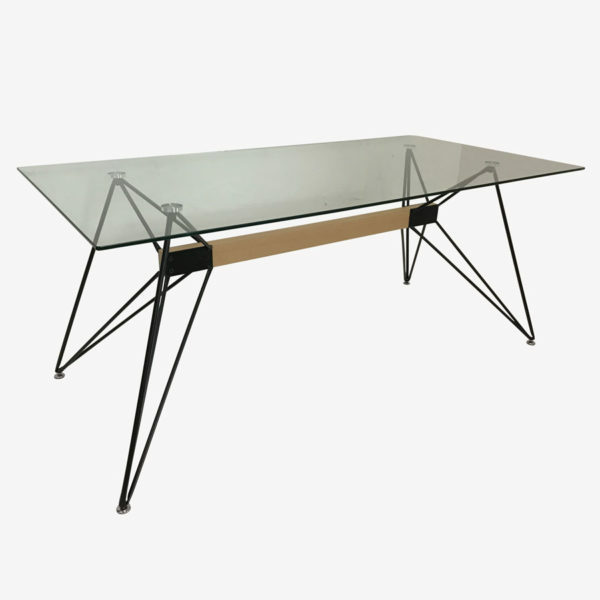 Its versatile design makes it the perfect addition for those looking to renovate its dining room without changing the whole decor. 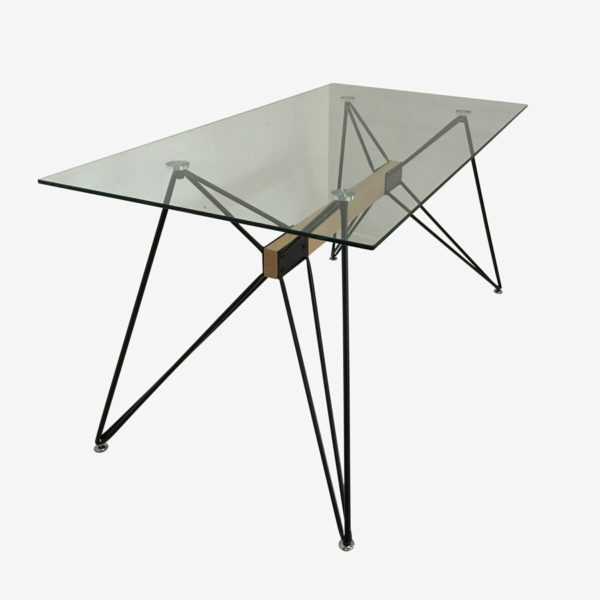 This table will create an open space effect in your dining room and it will add geometrical and modern features to your decor. 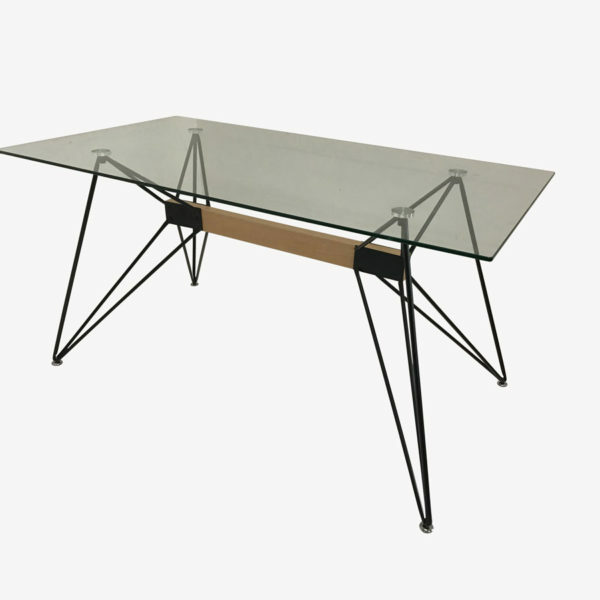 For general maintenance, wipe with a clean cloth dampened with a mixture of water and a mild dish washing detergent if thorough cleaning is necessary for stains. 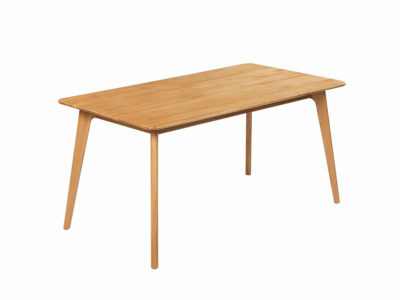 Do not use abrasive brushes as this will cause scratching. 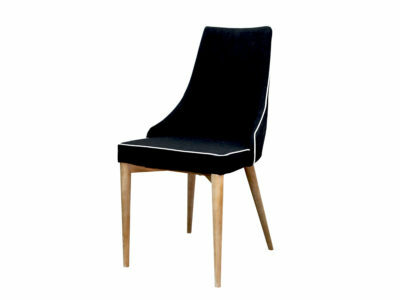 Dry with a clean chamois. 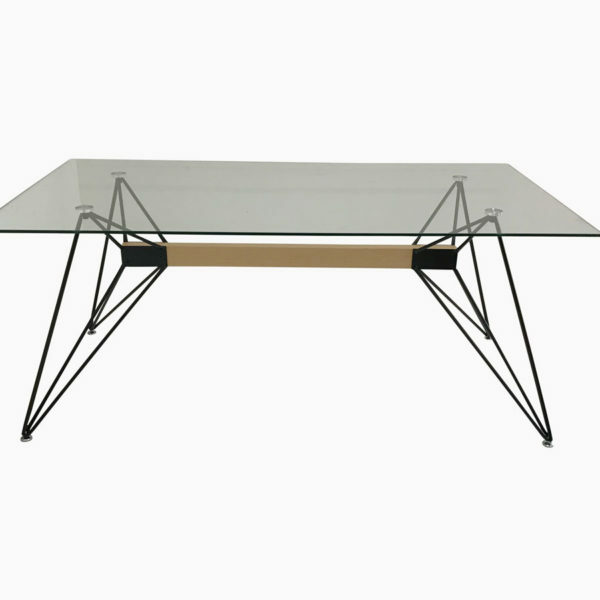 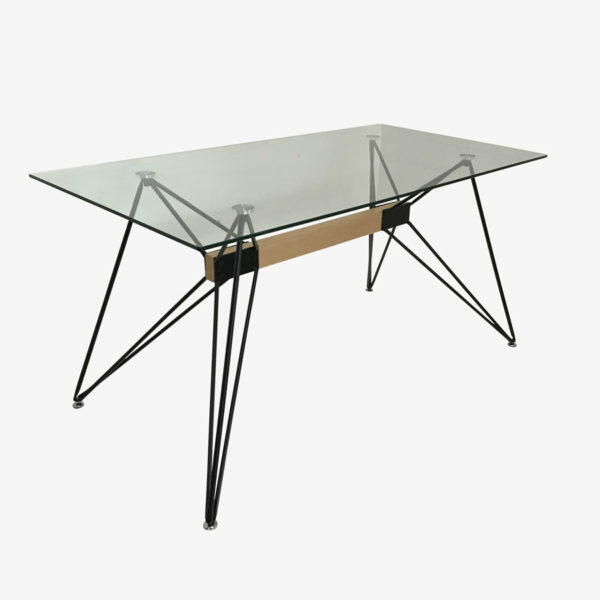 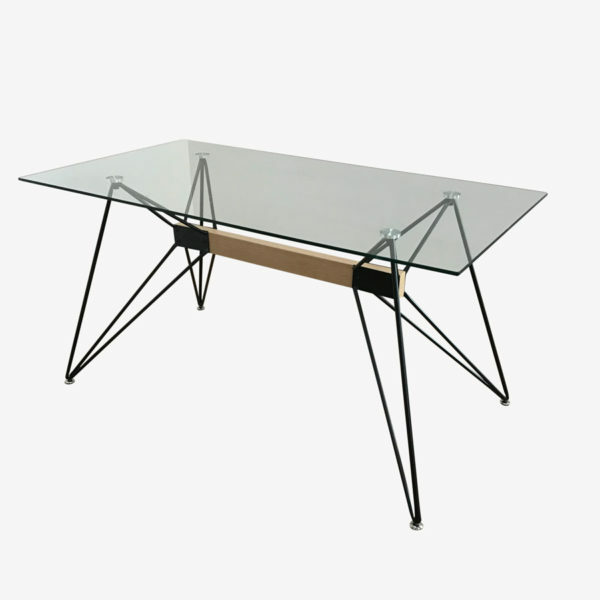 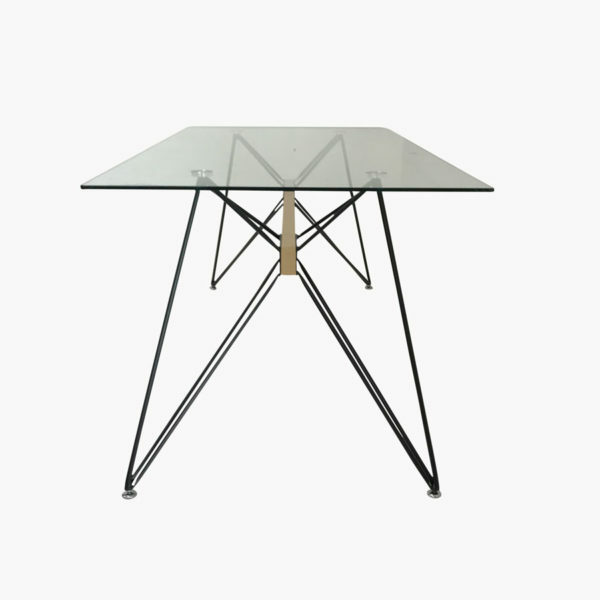 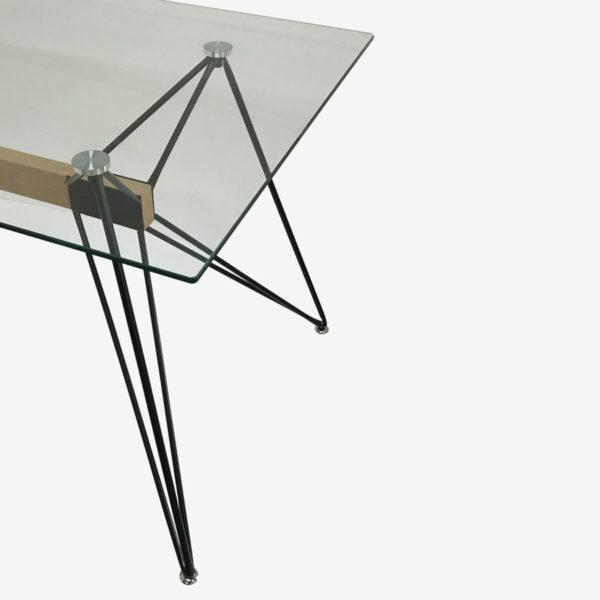 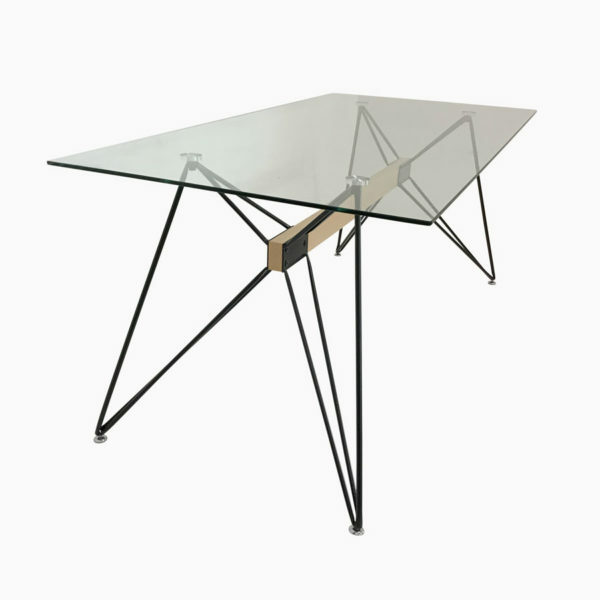 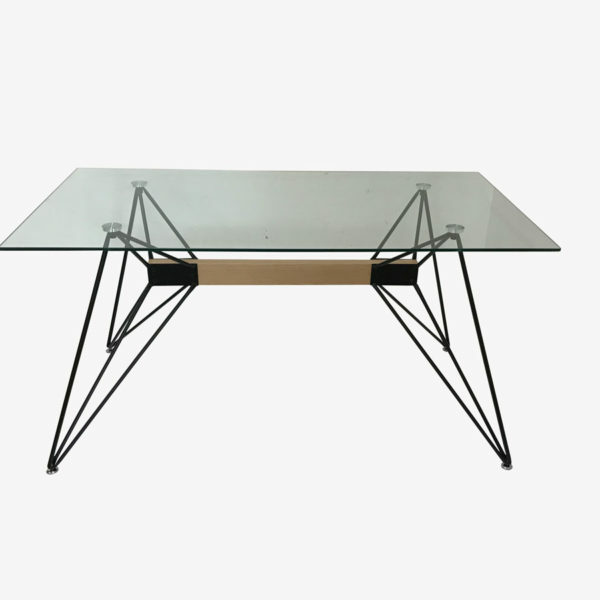 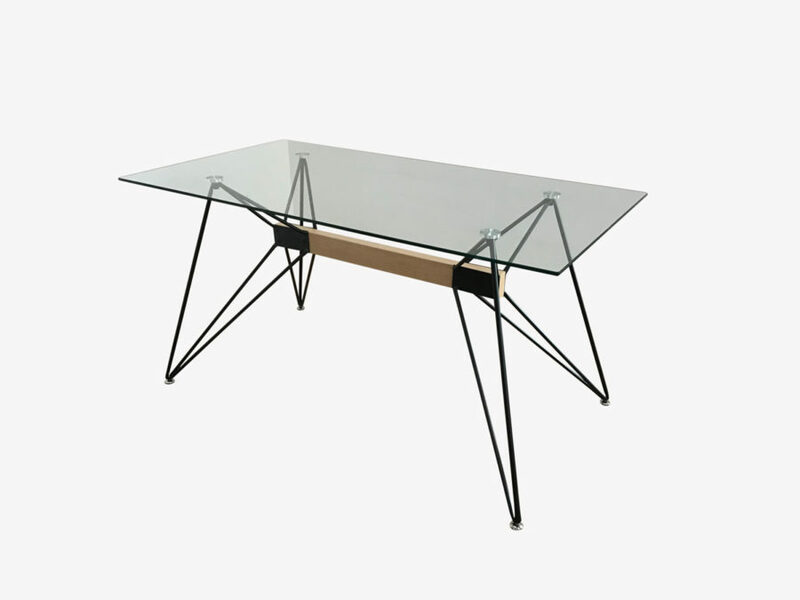 The Web table has a strong durable metal base finished with black powder coating and an oak-finished metal stretcher, making this table perfect for indoors and sheltered outdoors. 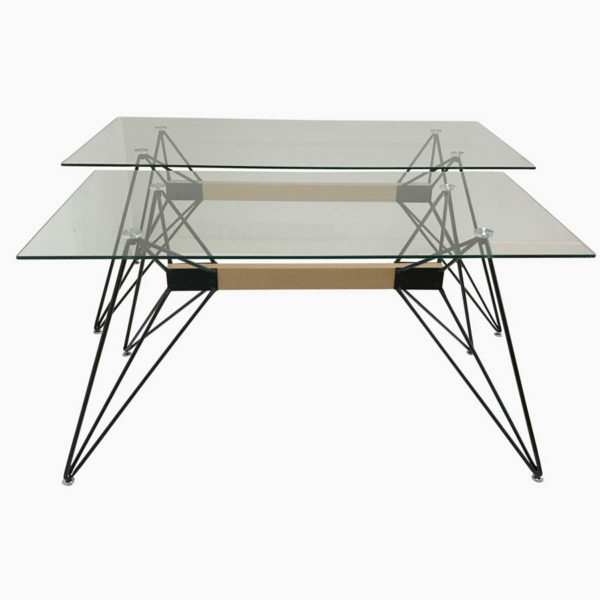 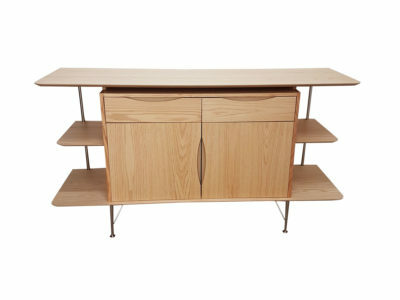 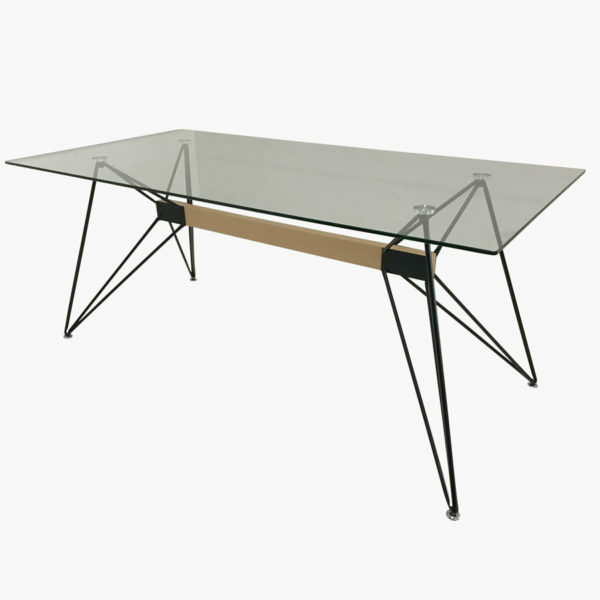 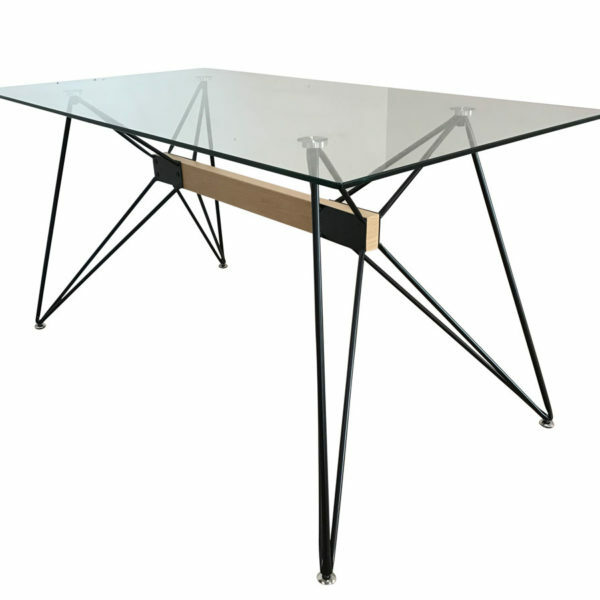 This table is suited both for commercial and residential environments.